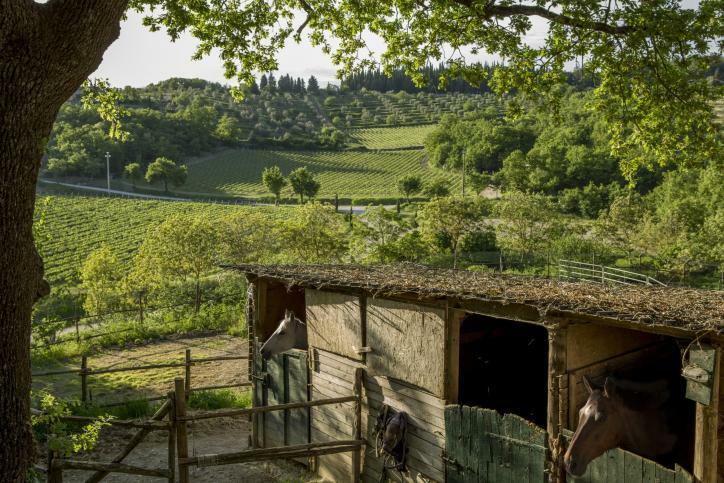 Castello di Fonterutoli, source of some of Italy’s most prestigious wineries, is a historic property embracing an entire tranquil, centuries-old hamlet just south of Castellina in Chianti, in the heart of Chianti Classico. The estate has been in the hands of the Mazzei family for 26 generations. 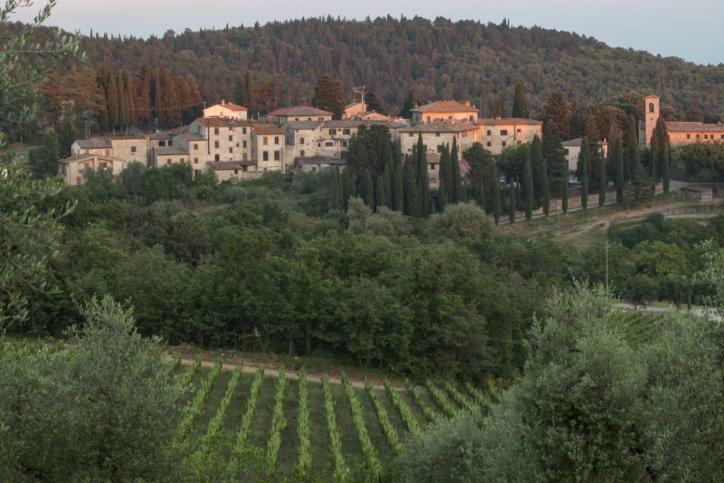 The Mazzei’s have been producing wine at Castello di Fonterutoli since 1435. This dynamic family has carefully safeguarded the inherent beauty and rich heritage of Fonterutoli, while simultaneously implementing measures to ensure cutting-edge quality in the vineyards and cellars. 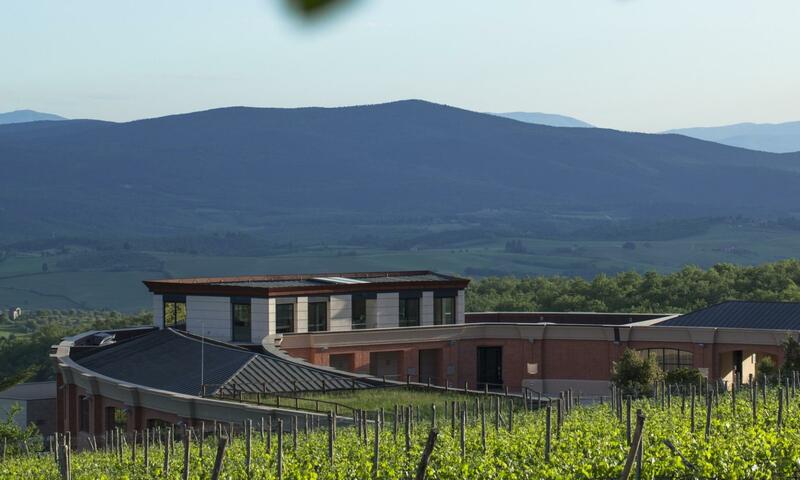 An exciting example of this dedication to quality is the construction of a stunning new cellar that operates via gravity and clean energy, and has already been defined as “the most impressive in the entire Chianti region” by Steven Spurrier of Decanter magazine. The Mazzei’s believe the name “Fonterutoli” derives from Latin origin, ‘Fons Rutolae’ or ‘Fons Rutilant,’ meaning clear spring. The area was chosen by the Etruscans to build villages near the water springs. An incredibly diverse area, Fonterutoli covers five main vineyard sites of different terroirs: Fonterutoli, Siepi, Le Ripe, Caggio and Belvedere. Sangiovese finds itself particularly at home in these areas, which are planted at altitudes varying between 750 and 1,800 feet above sea level, at south and southwest exposure. The rocky limestone and sandstone soil structure, high density planting ( avg. 7,000 plants per hectare) and low yields of less than 40 hectoliters per hectare result in the production of complex, elegant and powerful wines. Filippo’s son, Giovanni, is now actively involved and represents the 26th generation, poised to continue in the family’s footsteps of producing innovative and expressive wines.